After visiting and living in the park at XCARET – Yucatan Mexico I was absorbed by the larger than life Aviary, where I could walk through and see birds everywhere, at my feet and in trees. This painting came from that trip. 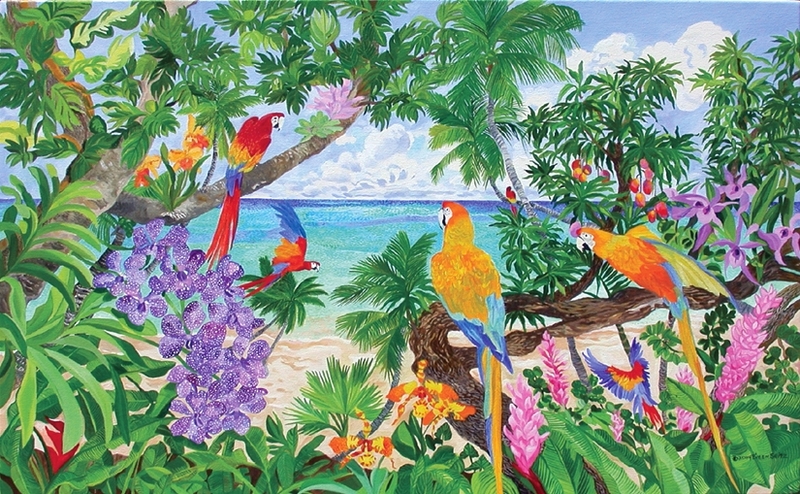 Image: 30" x 48" / Surface: 30" x 48"
Original Oil on canvas inspired from the birds of the tropics and the orchids growing freely.